You Are Here: Home > Why Schedule Service with Acura of Huntington? 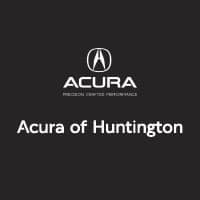 Schedule your car service in Huntington, NY at Acura of Huntington for thorough, quick, and friendly service at an affordable price. With our many service specials and coupons, knowledgeable staff, and use of genuine OEM Parts, our dealership provides the service and parts Dix Hills drivers need. From tire maintenance to full detailing, we are here to help! In addition to our service department, our parts department has the tools to provide you with everything you need to keep your Acura vehicle running. Our inventory of high quality genuine OEM Acura parts combined with our knowledgeable staff can ensure that you keep driving with as few problems as possible. Find out why drivers choose Acura of Huntington, then stop by!